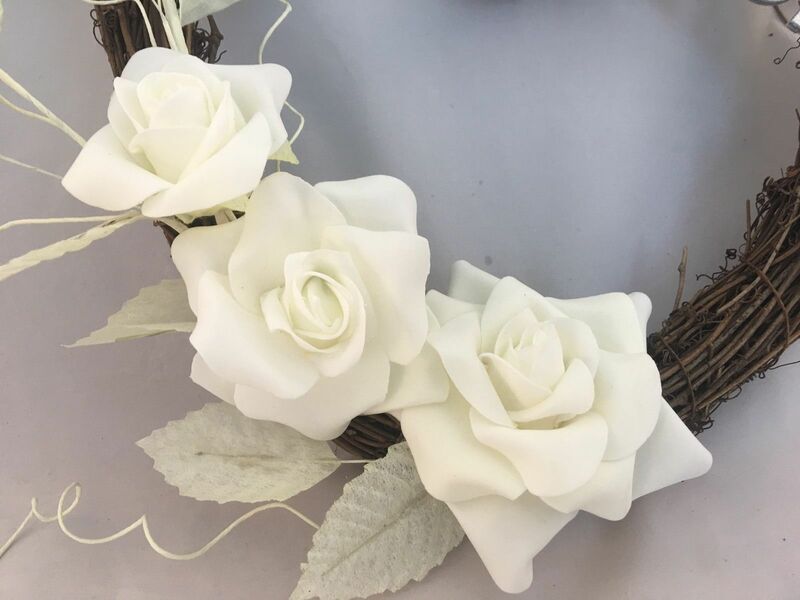 This stunning wreath has been created using a twig wreath and artificial silk/foam flowers. 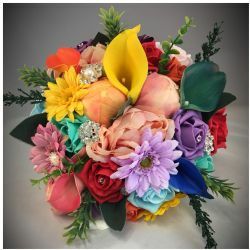 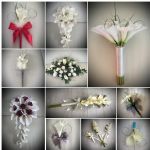 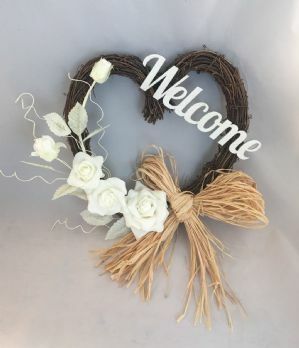 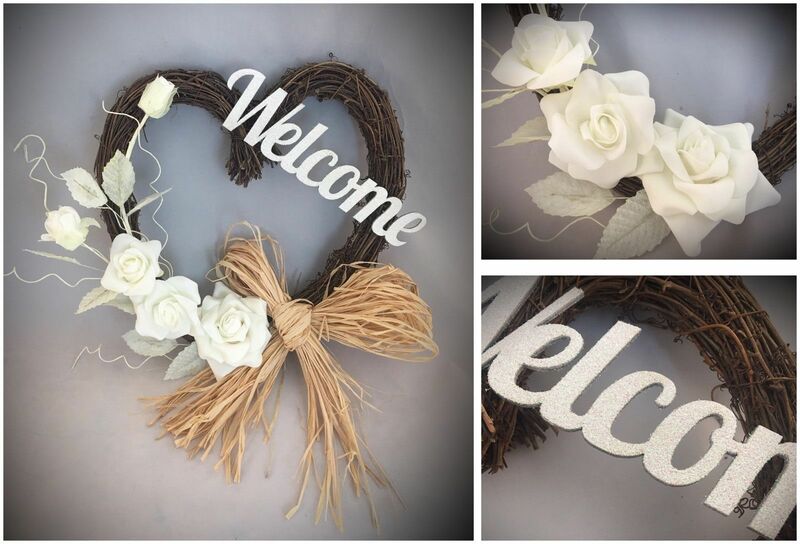 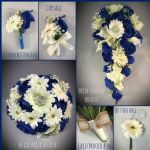 The main focal point of this lovely tribute is a cluster of flowers consisting of white/cream foam roses, leaves and curled wire, a raffia bow, finished with a glittery welcome sign. 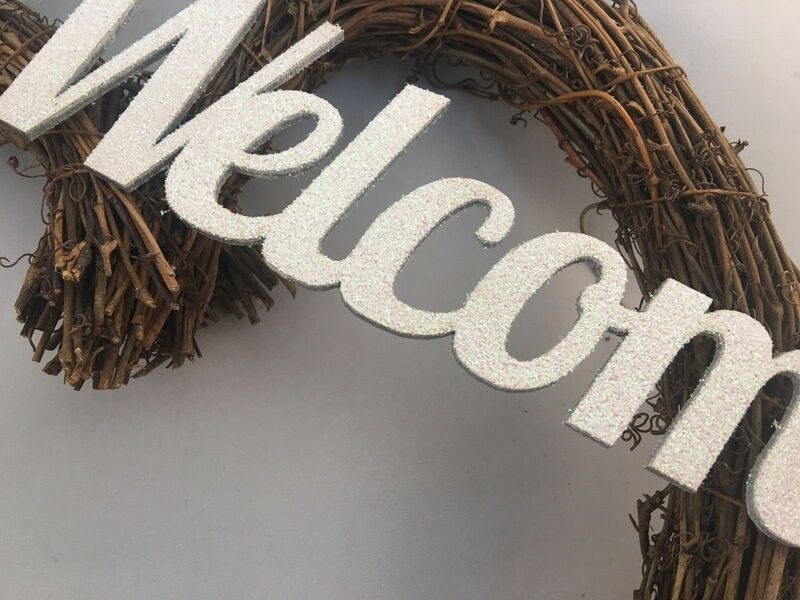 The wreath measures approximately 13" wide. 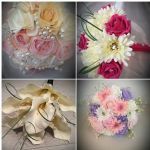 If you have any further questions or requests I will be happy to help in any way possible.